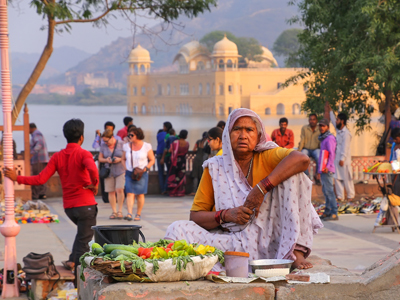 This fascinating, eclectic look into Indian life begins in the capital, Delhi, before moving on to the essential site of Agra to see the Taj Mahal. 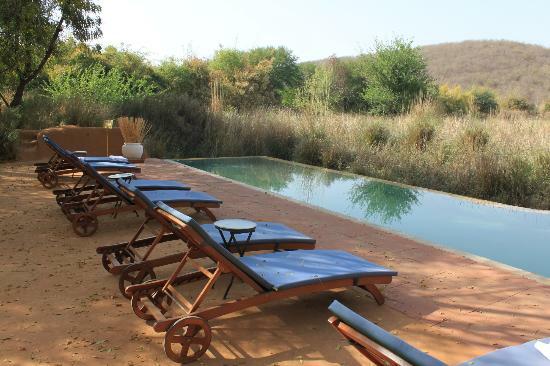 From there, the standard circuit deviates to Ranthambhore for a worthwhile tiger safari. 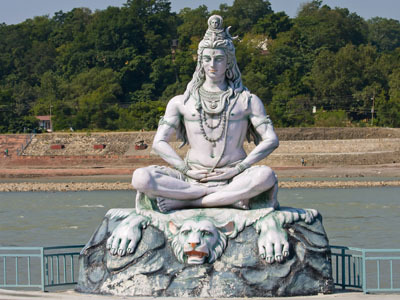 Lastly, travel to Rishikesh for a once in a lifetime glance at Yoga culture in the spiritual North. Everything about Delhi is enticing. 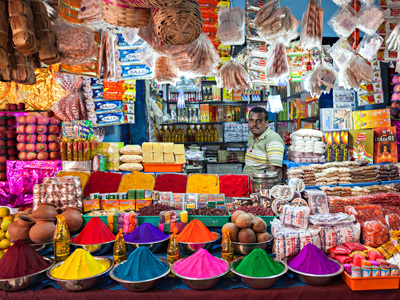 Named India’s historical capital, Delhi is one of the world’s oldest continuously inhabited cities. Since ancient times, the city's character and culture has been shaped by waves of various influences. In recent years, New Delhi has expanded to encompass residential and commercial developments to the west and south, including the satellite towns off Noida, Gurgaon and Faridabad. Delhi has also outgrown Mumbai and Kolkata in becoming the most vibrant creative art and culture center in India. Even a simple stroll through the streets offers an epic adventure for the senses. Today, you will be fully introduced to India's capital, beginning with Old Delhi in the morning, and New Delhi in the afternoon. Old Delhi was an ancient walled city. In 1650, Mughal Emperor Shah Jehan switched the Mughal capital from Agra to Delhi. Your tour begins with a cycle rickshaw ride through this very area. You will drive past the famous Red Fort, which is the most opulent Fort and Palace of the Mughal Empire. From there, continue onto the Jama Masjid, to see the largest mosque in India, followed by the Chandni Chowk, the bustling and colorful market of the old city. You will be captivated by the vibrant energy and the magnificent sites of the area. After visiting the Raj Ghat, which is the memorial site of Mahatma Gandhi, your exploration proceeds with a visit to two monuments from Delhi's past. The first is the Qutub Minar, a historic construction of a landmark from 1199 and the second is Humayun's Tomb, which was built by emperor Humayun's wife. This tomb took eight years to complete and is regarded as an ideal example of the early Mughal architecture. Today's unforgettable experience includes a city tour of Agra with visits to the breathtaking Taj Mahal and Agra Fort. That magnificent monument of love – The Taj Mahal, was built by an emperor in memory of his beloved queen. Construction of the Taj Mahal began in 1631, and is believed to have taken 22 years to complete, with over 20,000 craftsmen working round the clock. The design and construction is said to be that of the legendary architect, Ustad Ahamad Lahori. Its marble exterior reflects rose and golden tints at sunrise and sunset, and dazzling white during the day. Drive to Bharatpurrailway station. En route, visit Fatehpur Sikri, site of another of the four Mughal capitals. 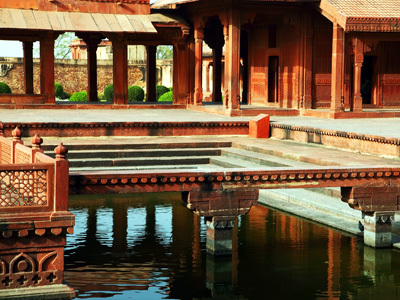 An elegant red sandstone edifice of monumental proportions, Fatehpur Sikri was a complete city built mid-16th century by the great emperor Akbar to celebrate the birth of a son, and deserted barely two decades later due to apparent water shortages. Now in a near perfect state of preservation, it harmonizes Hindu, Mughal and Persian architectural styles, and is redolent of the majesty and romance of a bygone era. 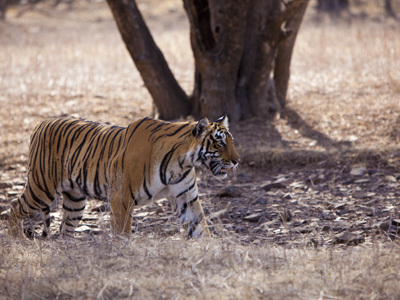 Ranthambhore is the best place for a tiger safari in India. Over 1,000 square kilometers of wild landscape make up this spectacular tiger sanctuary, whose goal is the preservation of these impressive creatures. Actually spotting a tiger is a difficult task, and may happen only once or twice during your safari. The good news is that Ranthambhore also features plenty of other wildlife to spot. Overall, this park serves as a great break from the hustle and bustle of greater India, and gives travelers a chance to relax, and enjoy a couple of days of uninterrupted calm. Jaipur is where the enduring charisma of the past blends with the throbbing vitality of today. Where a colorful cast of characters - from painters and potters to artists and antique dealers - present a fascinating picture of a city that is alive to both tradition and change. Today, Jaipur has spread far beyond the pink crenellated walls that once defined its boundaries. It presents a fascinating picture of a city where growth, evolution and change are sustained by tradition. After breakfast this morning, proceed on an excursion to the inspiring Amber Fort. Amber Fort is a marvelous example of Rajput architecture, with its terraces and ramparts reflected in the Maota Lake below. 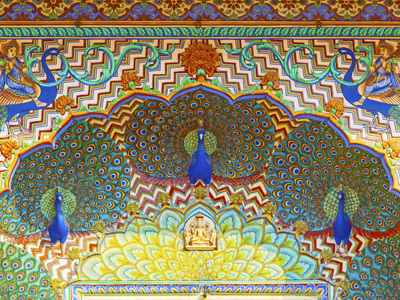 The interior of the fort has various royal halls decorated with intricate ivory, mirror and glass work complemented by exquisite wall paintings. In the morning, you will be picked up at your hotel in Delhi and transferred to the train station for your train to Haridwar. Upon arrival at the train station in Haridwar, you will be greeted by your driver and transferred to your hotel in Rishikesh. The drive journey time is roughly 1.5 hours. 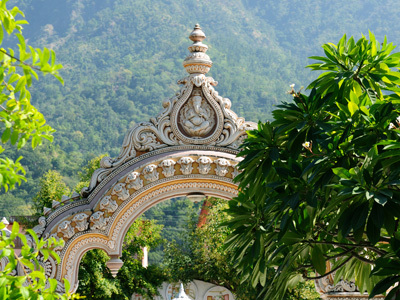 Welcome to, as Rishikesh calls itself, the "Yoga Capital of the World." From across the world, yogis yearn to make the pilgrimage to one of Rishikesh's hundreds of ashrams. Meditation and yoga classes abound. The Ganges flows through the city, and green forest frames it. 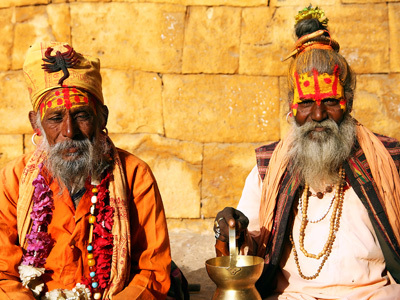 For backpackers and aspiring spiritualists, Rishikesh has become one of the more popular destinations in India, so prepare yourself for late night parties and new international friends. In the afternoon, you will be picked up at your hotel in Rishikesh and transferred back to the train station in Haridwar. In Haridwar you will board your onward train to Delhi. Upon arrival there, you will be met by your driver and transferred to your hotel. 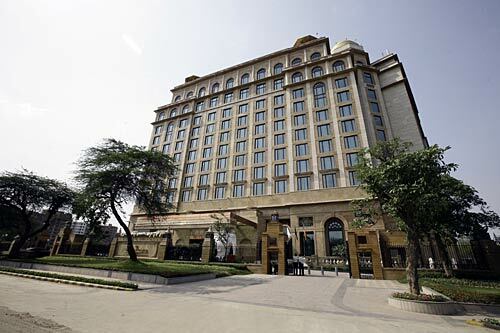 Imposing, inspiring and right at home among the grand landmarks of the New Delhi’s Diplomatic Enclave, this iconic palace style hotel makes a significant statement in terms of architecture and intent. The Leela Palace New Delhi is destined to become one of the great hotels of the world. Its architecture is inspired by Lutyens, art and embellishment by Mrs. Madhu Nair and its levels of refinement and generosity of space mirror the great palaces of the world. Breathtaking vision superbly realized. Sprawled over 35 acres of luxurious gardens, and in close proximity to the Taj Mahal, ITC Mughal, a 5 star hotel in Agra is a fitting tribute to the great Mughal builders of the past. The only Indian hotel to have won the prestigious Aga Khan Award for its excellent representation of Mughal architecture, it now boasts of a brand new accommodation wing - the 'Khwab Mahal' - Palace of Dreams. 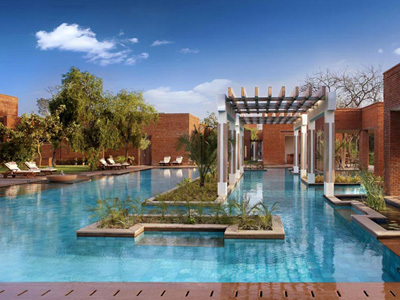 This luxury hotel in Agra comprises of 233 opulent rooms and suites, recreating a paradise for the contemporary Mogul- full of splendor and perfection which was the hallmark of the Mughal Dynasty. Situated a short drive from the main gates of Ranthambore National Park, Sher Bagh’s 12 luxurious tents are set amid the verdant grounds of a private estate. The camp has a strong eco-friendly ethos and a laid back, welcoming atmosphere. The camp is also a member of the prestigious Relais and Chateaux group of hotels. Originally designed for the Maharaja of Jodhpur’s hunting expeditions, the tents consist of a bedroom with attached veranda and bathroom and have 24 hr hot water and electricity. All tents have fans and state-of-the-art air-conditioning units to keep them cool during the warm months. Sher Bagh has a dining tent serving continental and Indian cuisine, a bar and you can also enjoy an alfresco Thaali dinner around the campfire were guests gather together in the evenings to chat with each other and compare notes on animal sightings. The Samode Haveli is a small, intimate hotel property that offers a charming accommodation experience. Built over 150 years ago as the Samode Royal family's suburban manor house, the building was later converted into a heritage hotel in 1988. Today, it stands as a reminder of the rich historic past, creating moments of subtle luxury. The property was constructed facing North, away from the burning Rajasthan sun and features a spectacular painted dining room, an airy veranda and an elephant ramp at the entrance, which was specially constructed in the 1940’s for the marriage ceremony of the late Rawal Sahib’s aunt. It has been meticulously restored and integrated into a unique property. 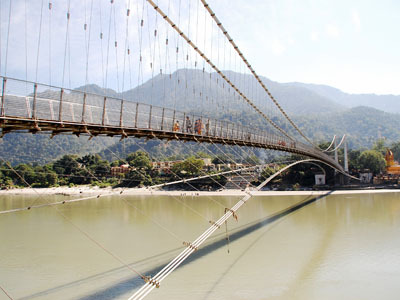 Just 225 kilometers north of India's capital, New Delhi, and easily accessible by rail, road and air, this exquisite resort in Rishikesh 'Aloha on the Ganges' is located right on the banks of the Ganges River close to the Laxman Jhulla, in a very serene and peaceful environment. The setting of the resort on the fast-flowing Ganges, surrounded by forested hills, is conducive to meditation and mind expansion. In the evening, the breeze blows down the valley, setting temple bells ringing as sadhus (spiritual men), pilgrims and tourists prepare for the nightly Ganga Aarti.